I was the designated driver for the second half of the long drive from Melbourne, but the rest of my mates were well pissed, so it was a relief to see our host similarly inebriated when we pulled up in leafy Tusmore, Adelaide. Ralph and Jill’s backyard provided our cheap accommodation only 1 km from the Victoria Park road circuit for years. Wonderful people they were and are. Ralph was no racing enthusiast, he always struggled with the furrin’ drivers names, but his zeal for the race typified the way the average Adelaide citizen felt about the event each year despite the interruptions to normal traffic flows and all the rest. Adelaide is a small town which embraced the race in a way Melburnians en-masse never really have. The ‘Save Albert Park’ mob are still vocal despite the GP having support from both sides of politics. 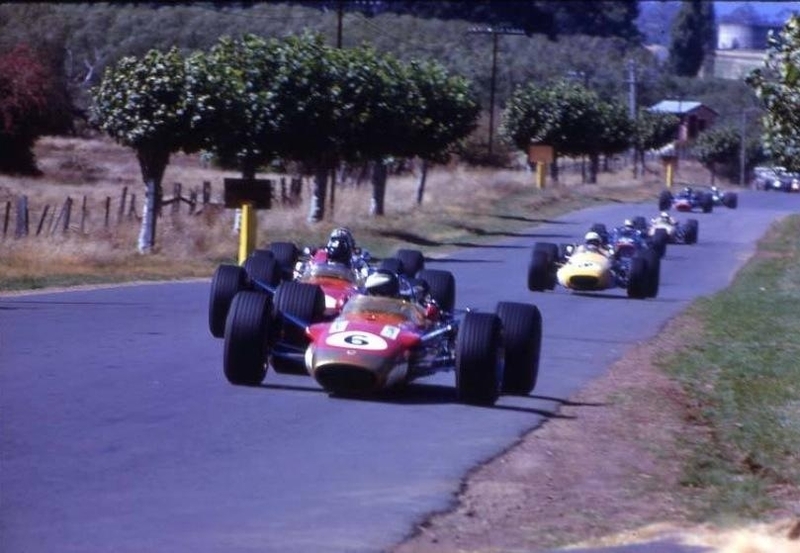 There had been mumblings about Australia having an F1 GP on and off for decades, the lack of an F1 event was not such an issue in the sixties when we had the Tasman Series which was effectively 4 Grands Prix in 4 States in 4 weeks! And 4 races in New Zealand before the ‘circus’ arrived in Oz. The ‘Tasman’ was a 2.5 litre formula dominated in the early days by ex-F1 2.5 litre Coventry Climax 4 cylinder FPF engined cars. 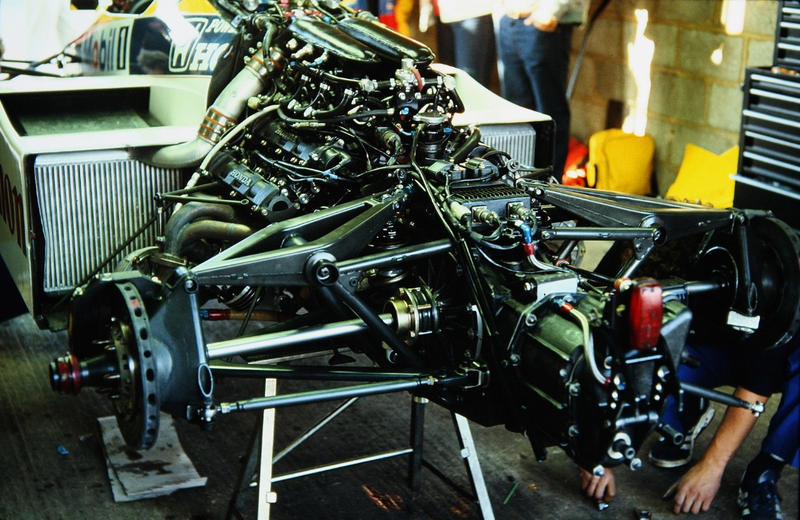 Later on ‘bored’ 1.5 litre F1 engines were used and at the very end of the category, 2.5 litre versions of current F1 engines were built by Cosworth and BRM, in addition to the bespoke Tasman engines of Repco and Alfa Romeo. Magic it surely was! 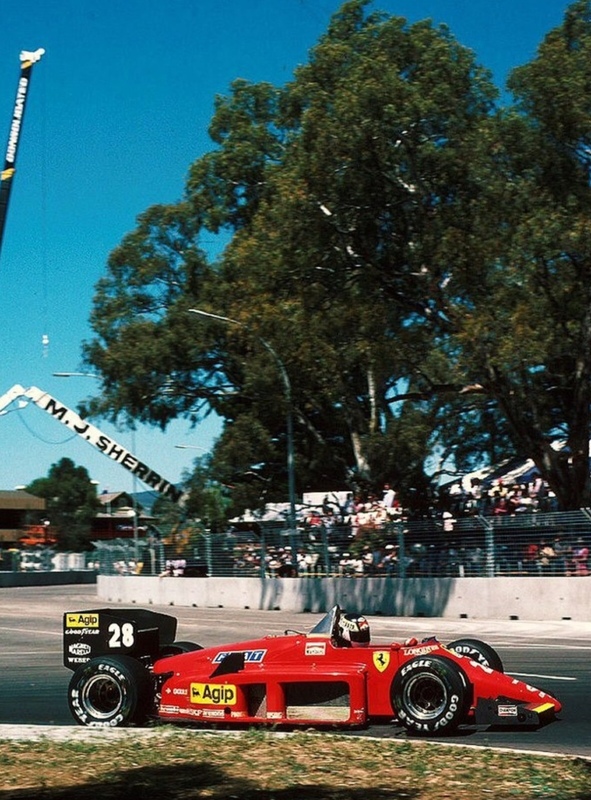 Later Bob Jane perhaps came close to an F1 event, his early 80’s Formula Pacific Grands Prix were intended to be replaced by an F1 event but Calder, love it as I do, is a bit of a ‘shithole’. It lacks any sort of visual appeal from a Teev viewpoint, nor does it represent a challenge to the best drivers in the world. It’s a great club, point and squirt kinda place. Sandown looked best placed, the circuit was increased to GP length to host a 1984 World Endurance Championship Round but the Light Car Club emasculated a great circuit with the ‘Mickey-Mouse stop go’ additions to the circuits infield to get the track to the requisite length. The financial returns, or lack of them destroyed the oldest racing club in the country as well. And so, pretty much outta the blue, with the support of the local business community, racer/business man Bill O’Gorman having pitched the idea to the committee set up to celebrate SA’s Sesquicentennial Year in 1986; South Australian Premier, John Bannon did a deal with Sir Bernie The Unbelievable to stage a race on the outskirts of Adelaide’s CBD. Part of the circuit defines the cities Eastern boundary, so ’twas a race in the city centre. Critically from an SA perspective, the Formula One Constructors Association wanted a street race, Calder and Sandown are not street circuits. Sydney is Australia’s beautiful world city. The place doesn’t have to work hard to attract tourists who are drawn to all of its visual, cultural and sporting splendour, she is the ‘hot sister’ her sibling cities are the ‘fuglies’ in relative terms. They have to work a lot harder to get tourists into their cities. Melbourne’s approach to combat that, is an event a month strategy, the very same Ron Walker behind the Melbourne GP was one of the founders of ‘Melbourne Major Events’ the body set up decades ago, to identify global events or develop local initiatives to get folks to come here. John Bannon grabbed an event the Victorians wanted and in fact the Victorians ‘stole’ it from the South Aussies some years later. 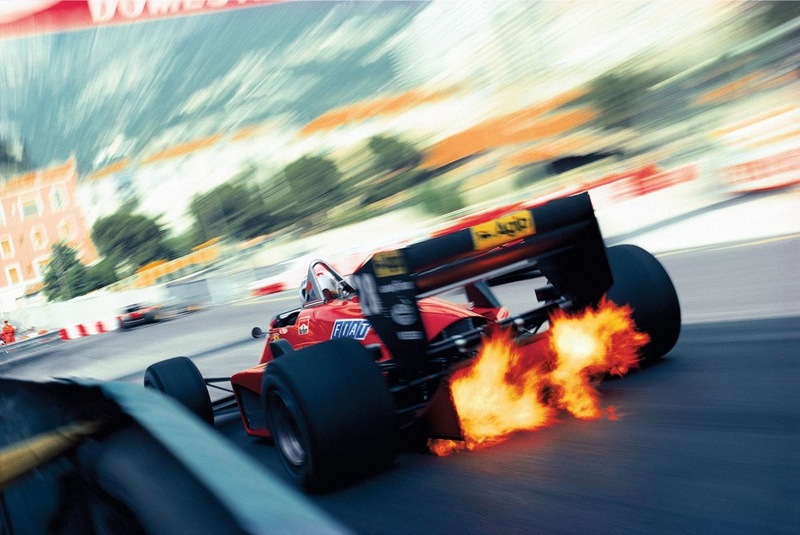 Most of us hadn’t seen contemporary F1 cars. 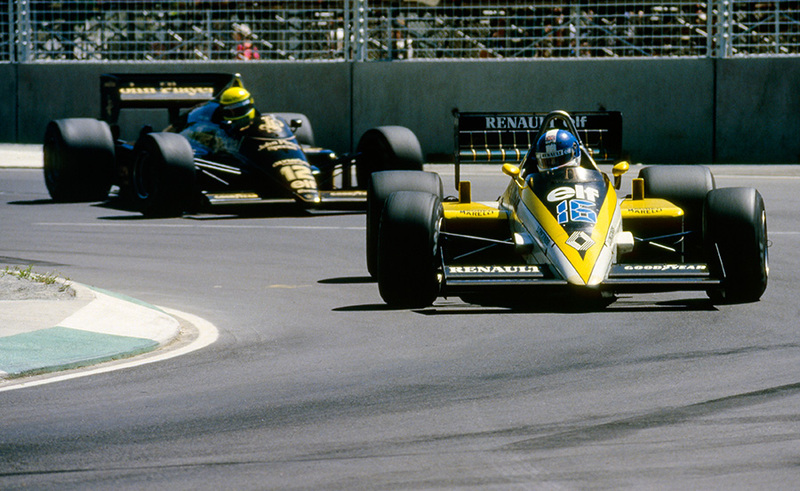 I hadn’t done the ‘big European trip’ at that point, the visits of Guy Edwards in a Fittipaldi to Sandown, and the Theodore Team to the ’79 Rothmans Series with an Ensign MN05 and Wolf WR4, all Ford Cosworth powered whetted the appetite, but none were current cars when they visited and by 1985 we were in the middle of the 1.5 Litre Turbo Era. The sight and sound of those cars around the wide open expanses of Adelaide’s Victoria Park was something to relish. 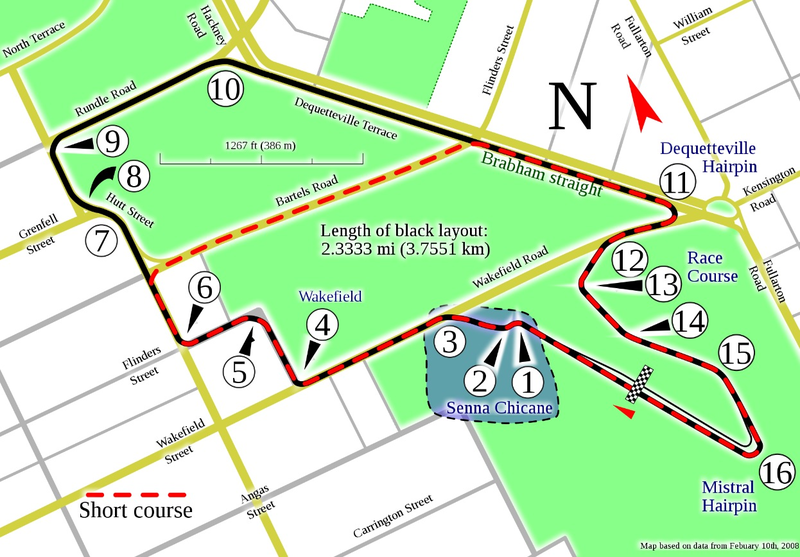 It was, and still is a street circuit but the GP circuit, the V8 Supercars use a truncated version of the track, was fast and flowing with the full gamut of corners, if not gradient changes to provide a ‘technical track’ for drivers to master. Once we separated ourselves from Ralph, our host, his enthusiasm for ‘Rossi Kekberg’ undiminished, we went to the circuit, being unfamiliar with the city and were simply blown away by Victoria Park, it’s scale, the circuit itself and the standard of organisation. The event won awards from the start to the end of the period in which the races were held there. Little Adelaide had something to prove both within Australia and globally, and delivered in spades. 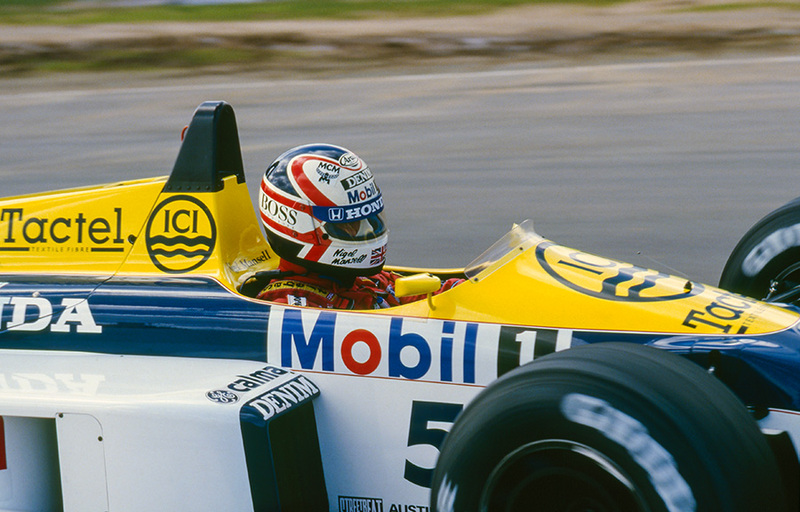 By the time the circus arrived in town Alain Prost had won his first F1 Drivers Title with victories in Brazil, Monaco, Britain, Austria and Italy. 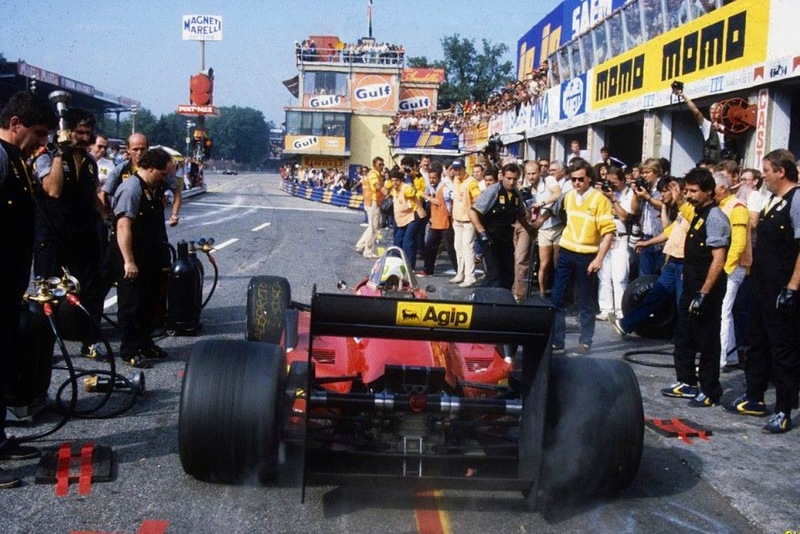 He lost a win at Imola when his car was found to be underweight. 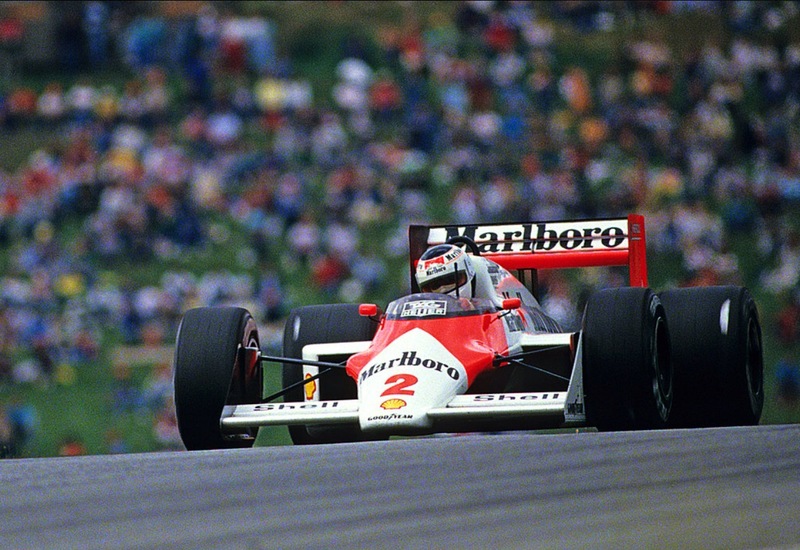 The McLaren MP4/2 TAG’s were the class of the field in 1984, they were fast, reliable, handled well and were driven superbly by Niki Lauda, who took the title that year and by Alain Prost who joined the team from Renault. 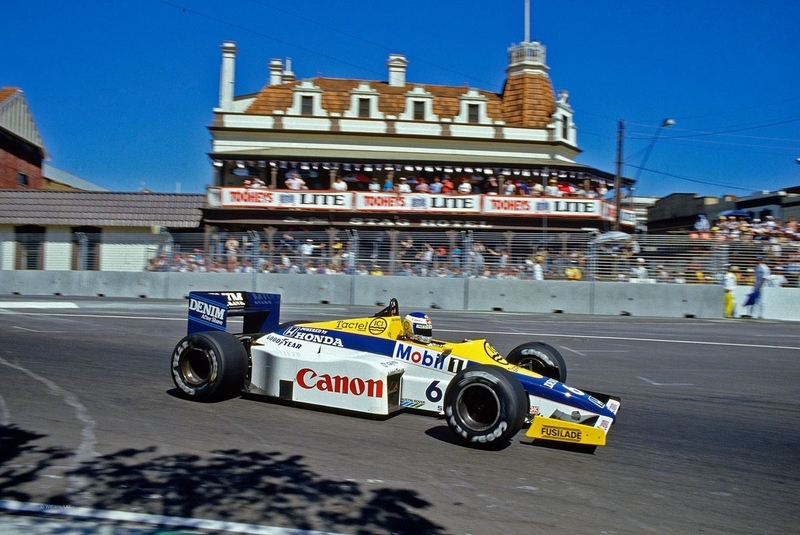 The McLarens took their advantage into 1985 but the year was made technically interesting by Williams first carbon-fibre monocoque and the emergence of Nigel Mansell, signed by Williams that season, as a force particularly in the seasons second half. Patrick Head, Williams designer was conservative and cost-effective in his approach to such large design changes and was also concerned about the new carbon-composite materials. Head was impressed with the way his aluminium-honeycomb monocoques had withstood big impacts; Jones at Watkins Glen (FW06) in 1978 and Reutemann at Silverstone (FW07) in 1980. Head determined to control the carbon-composite program inhouse, Williams built 9 carbon-composite FW10 chassis during the season. And gems of cars they were, right out of the box; Rosberg won in Detroit and Adelaide, Mansell at Brands Hatch and Kyalami. 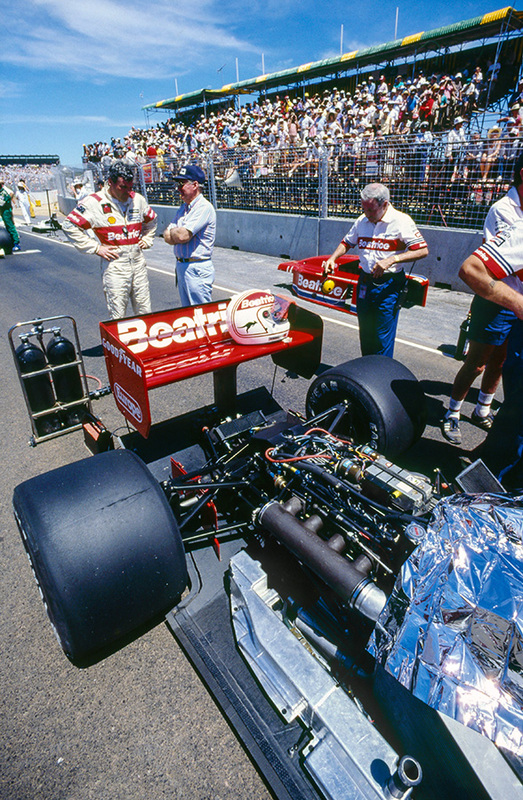 In the early part of the season the cars were powered by ’84 ‘D-spec’ Honda engines but by the time they arrived in Adelaide ‘E-spec’ engines giving a reputed 1000/1250 BHP qualifying capability and a 6 speed, rather than 5 speed Hewland gearbox to harness the power was fitted. Qualifying was held on a beautiful, hot day, 30000 punters turned up to see Ayrton Senna do an absolute blinder of a lap, you could see and feel the effort being expended by the Brazilian on track and on the plentiful video screens around the circuit, to set pole 7/10 of a second from Mansell, Rosberg, Prost and Alboreto. So; Lotus, Williams, Williams, McLaren and Ferrari were the top 5. 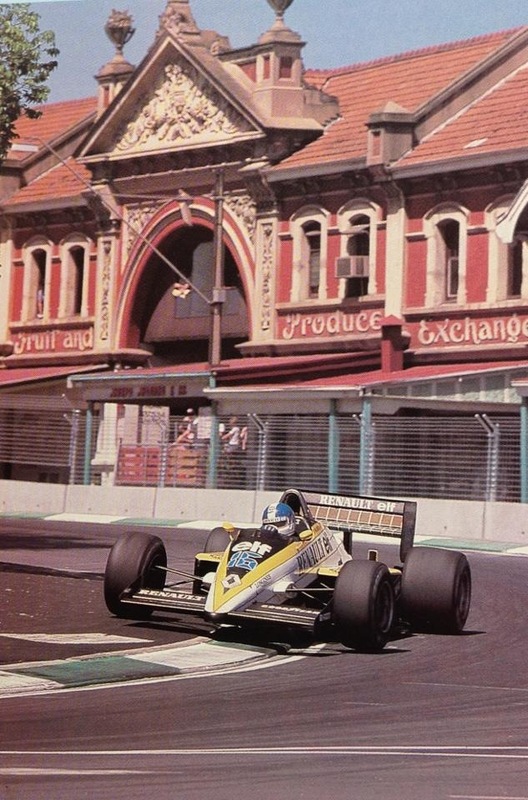 Alan Jones had returned to F1 but was well back in 19th, the Lola Hart not the fastest combination in the field. 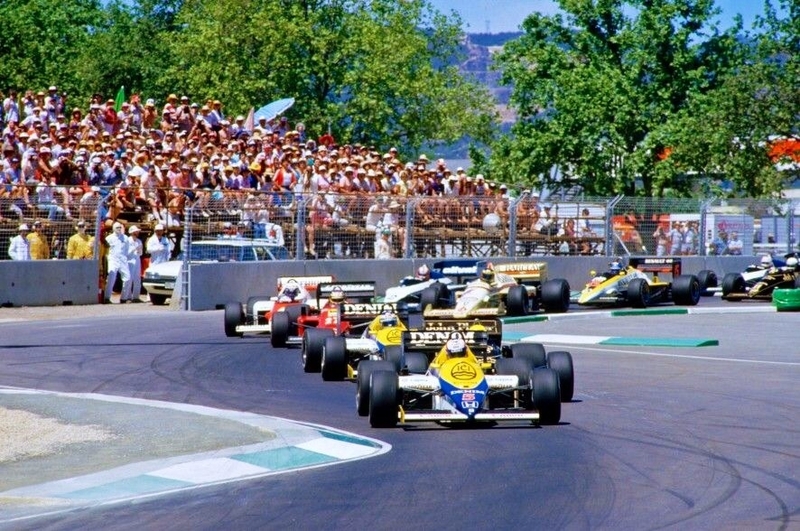 We were well pleased with the first 3 days of entertainment, I was suitably jealous of a couple of mates who were part of the show, participants in the Formula Ford race and wishing I was part of history, as all the competitors in that year were. 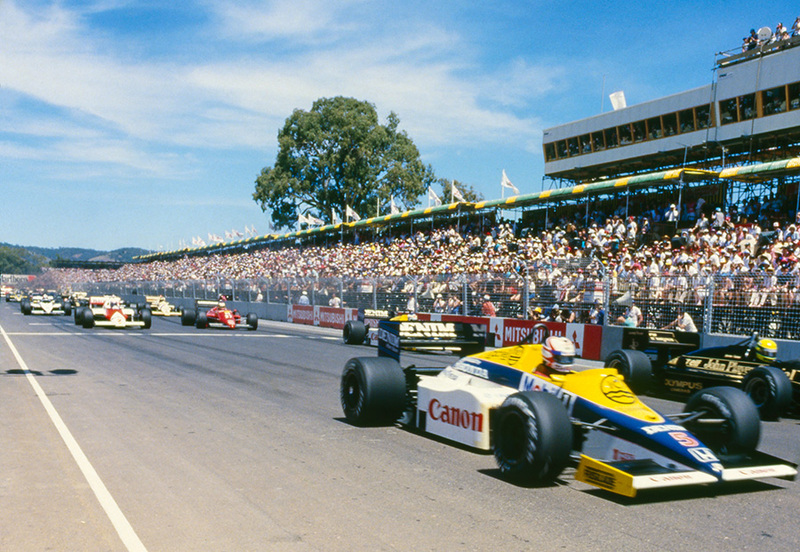 It was surely the most significant motor race in Australia’s Racing History?! We plodded into town and found a nice Italian joint to have dinner, as it happened La Trattoria, which is still in King William Street, still owned by the same family and still employs the same waiters, became a restaurant of choice for the drivers, especially the Italians. 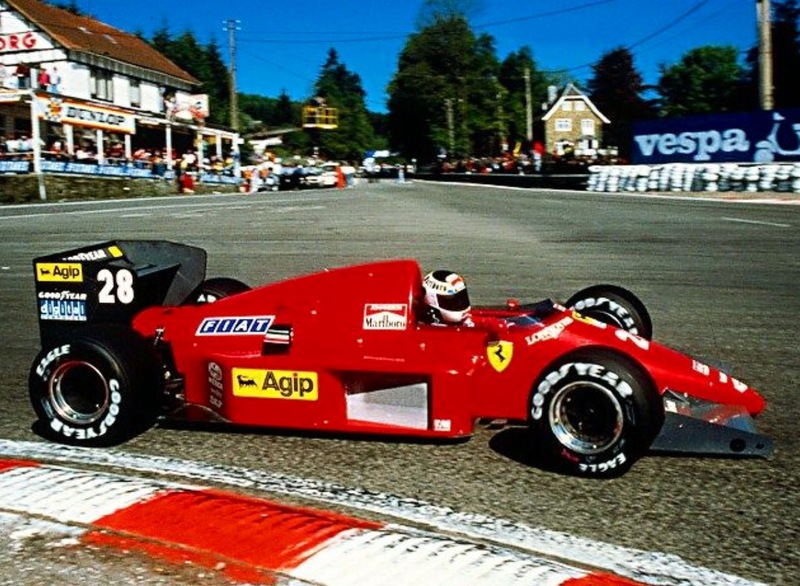 We had not even ordered a Spag Marinara when Patrese and De Cesaris arrived with wives/friends, we were blown away to have stumbled on the place by luck; because we were first, and ate there every night, every year a table was kept for us, it was fantastic to live vicariously and get the occasional autograph without intruding too much on the drivers. Adelaide was and is a small place, this was a good example of the access the locals had, their simply were few places to stay, so it wasn’t hard to find the stars of the show. ‘Poverty tickets’ in that first year weren’t a smart purchase, practice crowd numbers meant we had a very early start to bag our viewing positions. Outside the turn 1 chicane, a top spot on lap 1 but also throughout the race with a video screen to follow the event, was our choice after much debate. Being early was key, over 105000 attended on raceday. 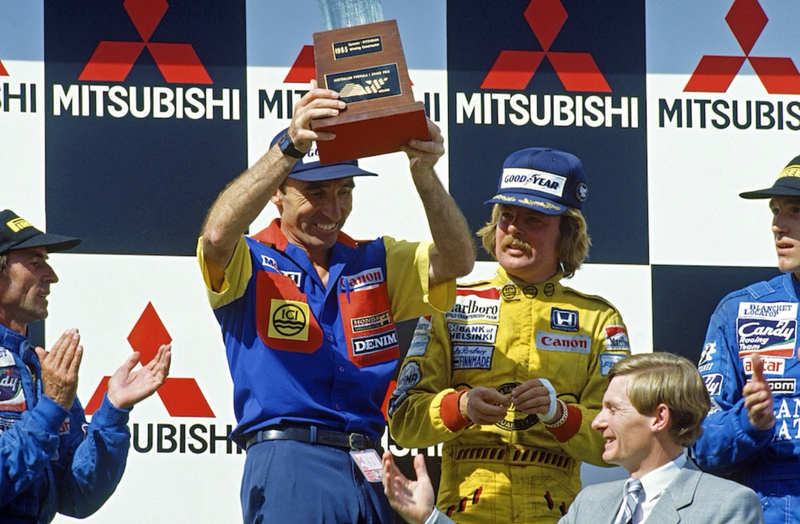 Ralph was keen for ‘Rossi’ to win the race, and so it was, Keke won, and after 3 pit stops! 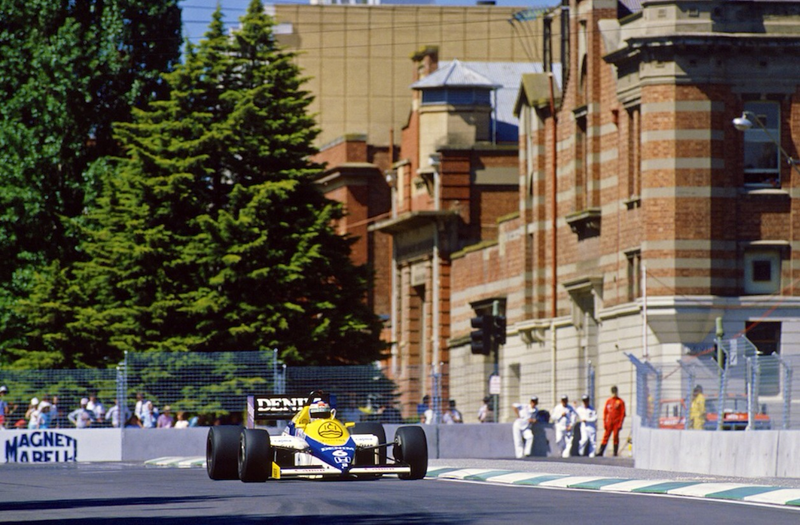 Mansell won the start but Senna carved him in half at the third turn, putting Noige outta the race. 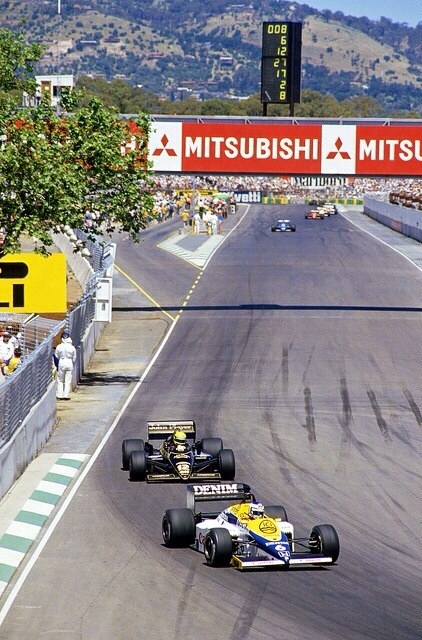 Rosberg then lead for 41 laps with Senna at a distance until his tyres went off. 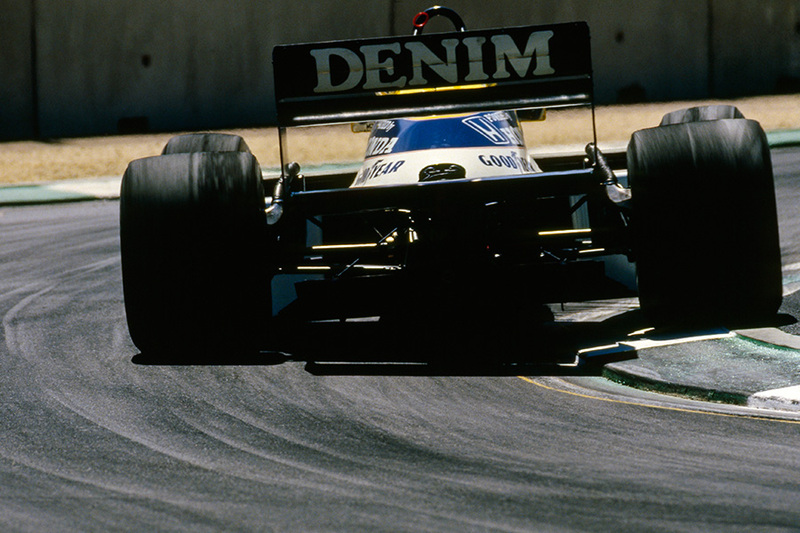 Senna moved back towards Keke, having given his tyres a rest and regained some grip, he then made a mistake clipping a chicane on the entrance to Brabham Straight, giving Rosberg some breathing space. But crazily, Senna had another moment and boofed Rosbergs Williams up the chuff as Keke went into the pits for a scheduled tyre change. 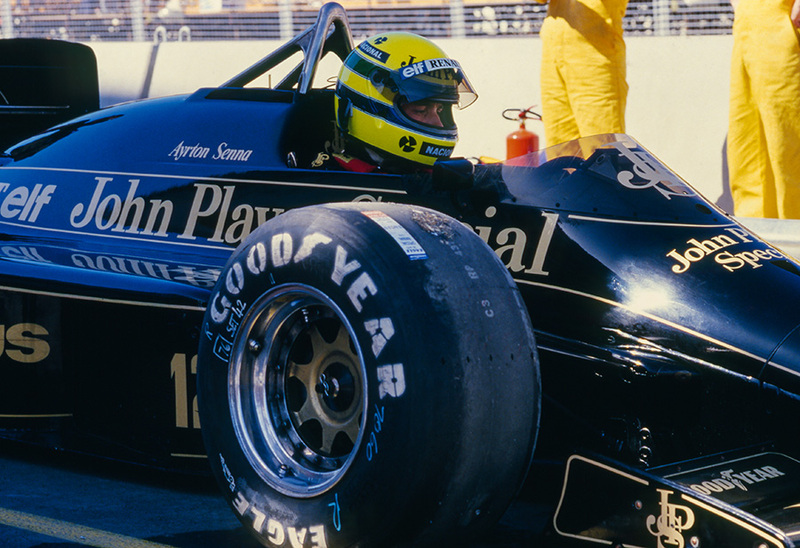 Senna had to pit for both tyres and a new nose cone. 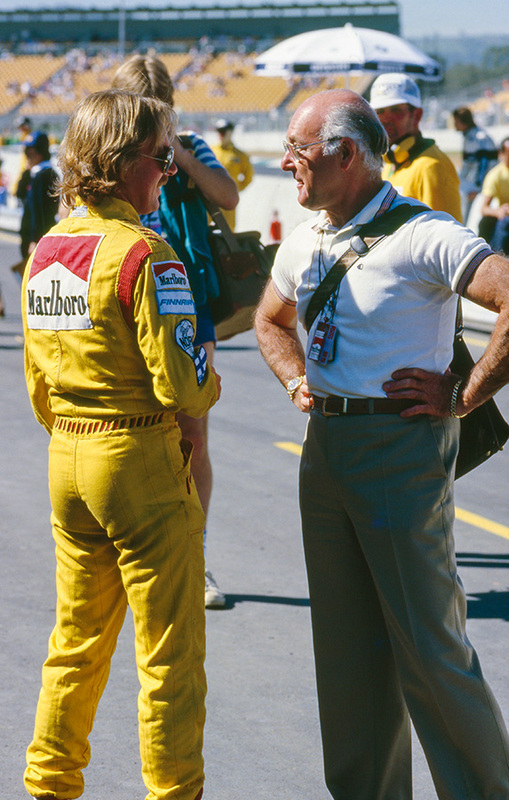 Rosberg was in the lead but Niki Lauda, in his last GP was looking a possibility in 2nd. At this point the heat of the day was telling for those with carbon-brakes, which were failing, those with steel brakes faring much better. 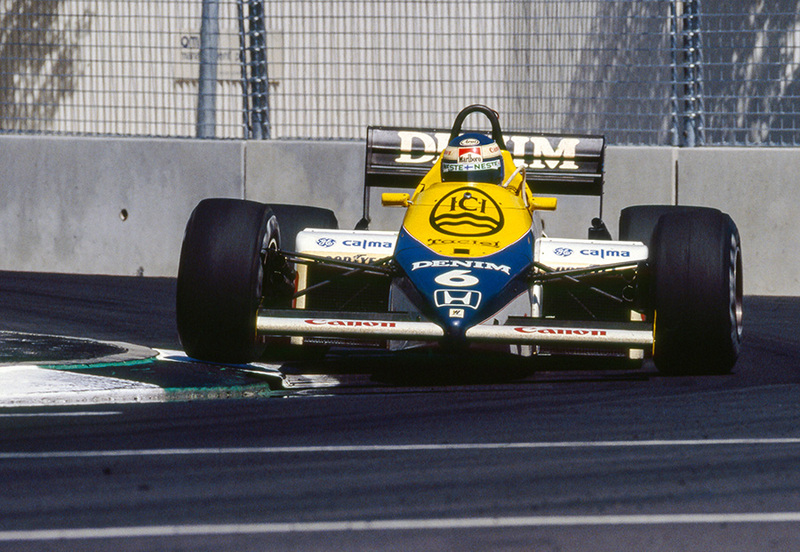 Keke’s tyres had gone off, he lean’t on them too soon so pitted again, then a wheel nut jammed so he entered the track 45 seconds behind Senna and Lauda. 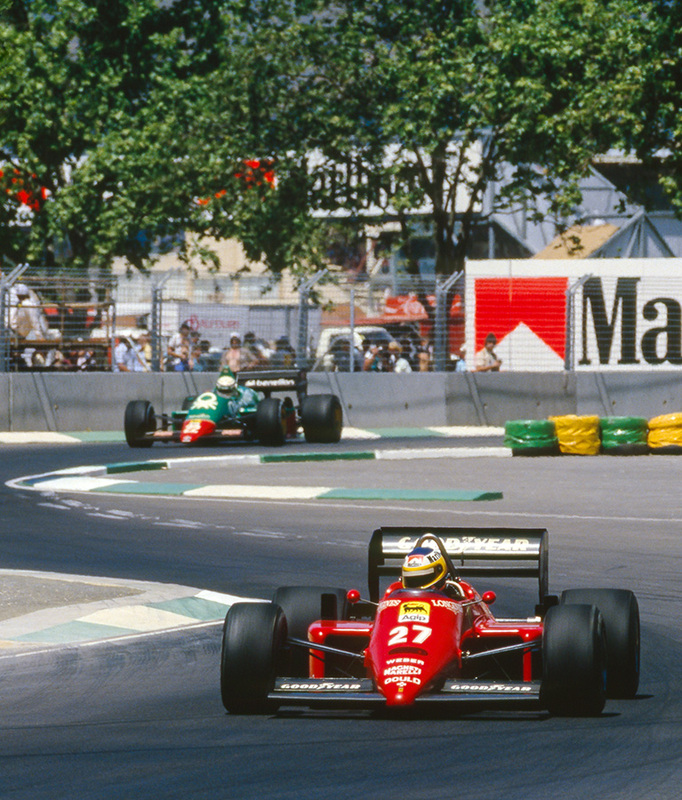 Senna fried his tyres giving the lead to Lauda, a career ending win a possibility, but his carbon brakes failed and he was into a wall. Rosberg, with cast iron brakes was looking good, Senna with carbon not so much, but then a piston failed in his Honda engine so Ayrton was out. Rosberg had the race won with 21 laps to go, last lap entertainment was provided by the Ligiers (Ligier JS25 Renault) with Jacques Laffitte and Phillipe Steiff managing to run into one another, the unfortunate Streiff misunderstanding a Laffitte waving arms gesture which meant ‘don’t pass’ rather than ‘do pass’ as Phillippe interpreted! 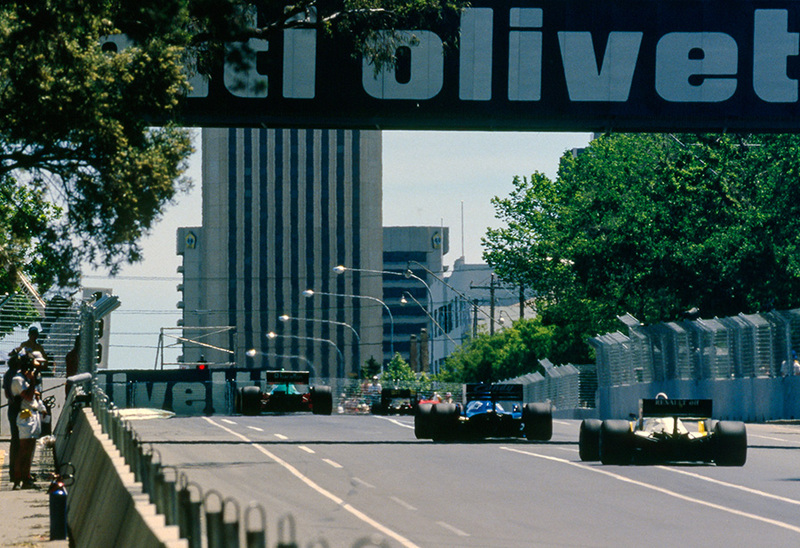 Ivan Capelli, Tyrrell 014 Renault Stefan Johannsson Ferrari 156 and Gerhard Berger Arrows A8 BMW rounded out the top 6. 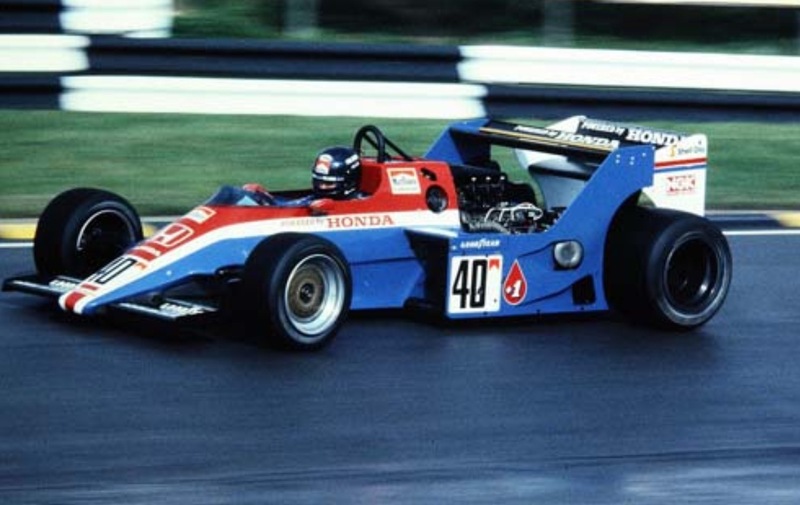 Honda returned to Grand Prix racing via F2 and Ralt...Ron Tauranac and Jack Brabham formed a successful partnership with Honda winning the European Championship in 1966, so they gave Ron a call when they wanted to return, achieving quick success, initially winning the European F32 Championship with Geoff Lees in a Ralt RH6 Honda in 1981. Not so pretty from the side…in search of downforce and somewhere to mount the ancillaries! 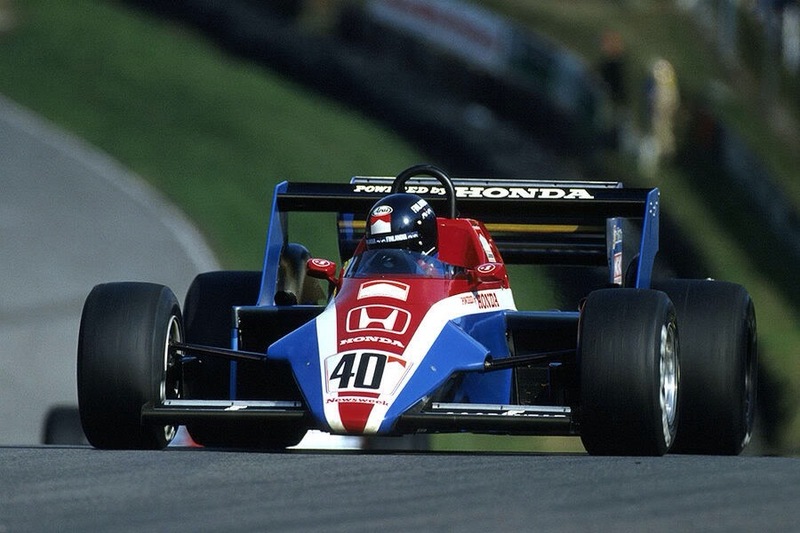 Stefans’ route to F1 was via the British F3 Championship which he won with a Project 4…(Ron Dennis) run March 803 Toyota. Like Ron he was off to F1 but a couple of starts with Shadow didn’t launch his career which was via Spirit after some F2 promise in 1982. 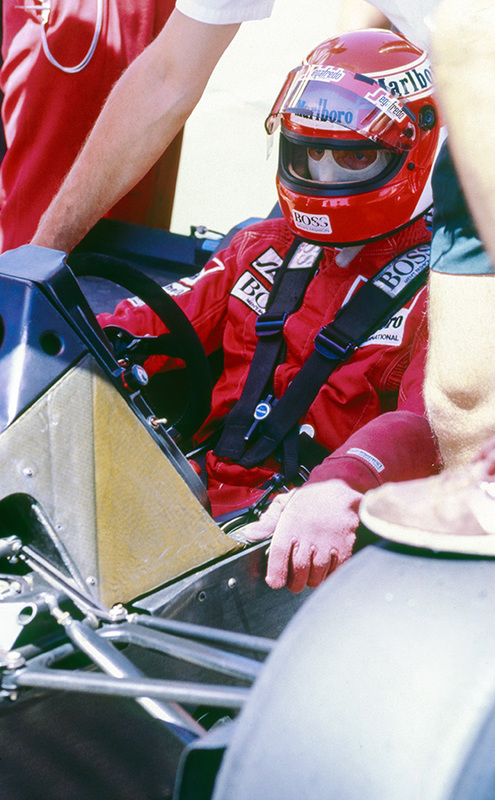 He raced for Tyrrell and Toleman in 1984, picking up a Ferrari drive after Rene Arnoux was sacked early in the season for unspecified misdemeanours. 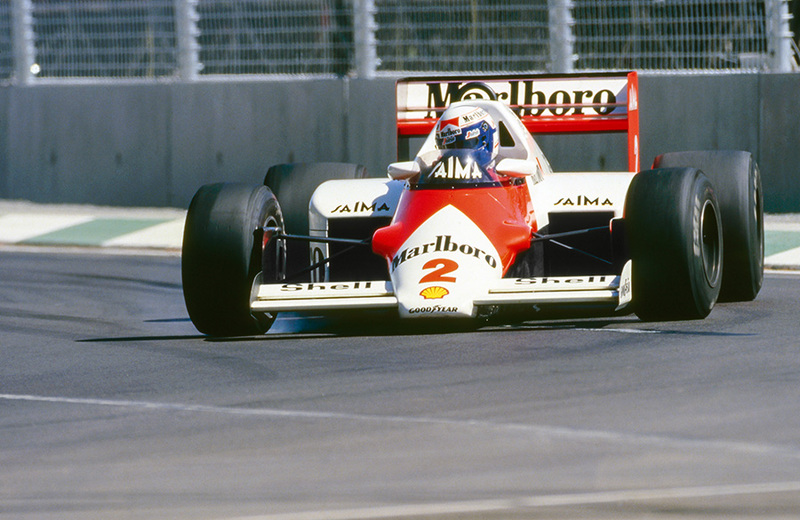 In 1985 and 1986 he was often quicker than team leader Alboreto and in the lead more than once but he was shown the door at the end of’86, McLaren picking him up. He finished sixth in the drivers championship but was really keeping the seat warm for Ayrton Senna who was under contract to Lotus until the end of 1987, still winless but a frontish-runner, he failed to get the second seat at Williams Riccardo Patrese bagged and steadily slipped down the totem pole in mid-field teams…Ligier in ’88, Onyx in ’89/90, and AGS and Footwork in 1991. 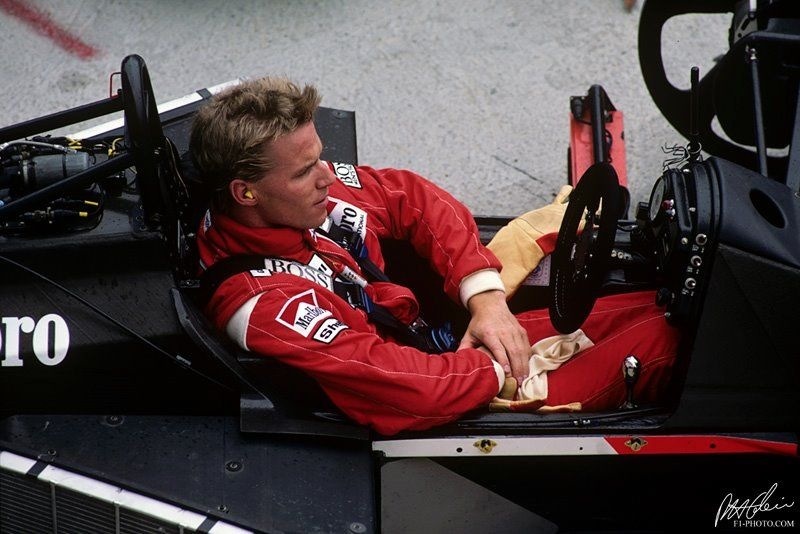 He placed second four times, very unlucky not to win, after 1992 he moved to CART, Sportscars and driver management.